No gift can be better to give to loved ones than a handcrafted item, made with love and care. But you don't need to lose sleep over making handmade gifts yourself. 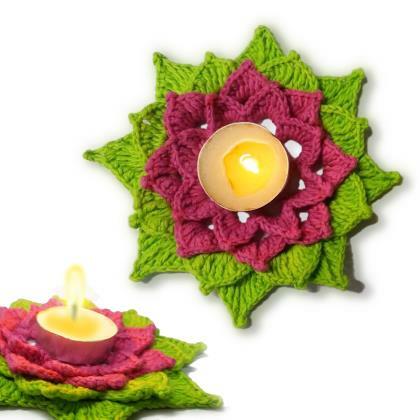 AllKraftz brings to you beautiful lotus tealight holder to adorn your diwali decorations and fill your house with happiness and love. These have been carefully and lovingly crafted by our team of gifted women who take pride in their hobby of knitting and crochet. These would make excellent gifts for friends and family too.